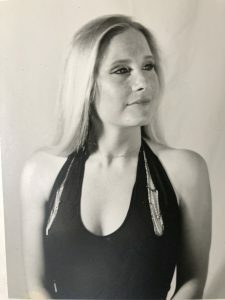 Lydia Helena White passed away suddenly from a brain aneurysm at home in Napa on March 15, 2019. She was 53 years old. Lydia was born in Palo Alto, CA on August 11, 1965 to Juanita & Bas Hoeks. She attended Sacred Heart School in Atherton, CA. Lydia was a competitive figure skater who trained at The Winter Lodge in Palo Alto, CA. She married Ralph “Boomer” White in 1985 and together they moved to Napa in 1997. Lydia was a beloved wife, mother and sister. She will be remembered as a fanatic of fast red sports cars and a rebel who had a fierce passion for life and love of heavy metal. She lived her life fully, had enormous compassion for her loved ones, and was a truly unforgettable enigma. She is survived by her husband Ralph White of Napa, CA, her daughter Crystal White of San Diego, CA, and her brother Bastiaan Hoeks of Grass Valley, CA.